"Discovery of 347km-long cave by the Gran Acuifero Maya project could shed light on Mayan history"
"The discovery could also help shed new light on the ancient Maya civilization. The Gran Acuifero Maya, a project dedicated to the study and preservation of the subterranean waters of the Yucatan peninsula, said the 347km (216-mile) cave was identified after months of exploring a maze of underwater channels. 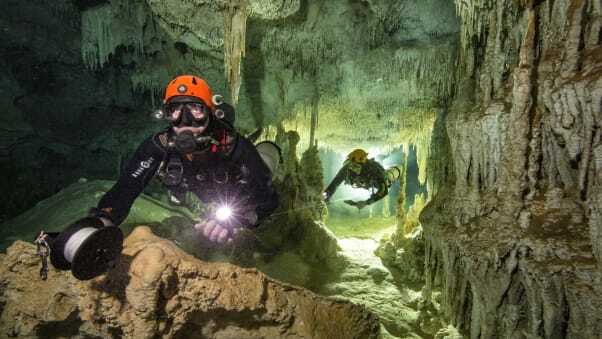 Near the beach resort of Tulum, the group found that the cave system known as Sac Actun, once measured at 263 km, connected with the 83km Dos Ojos system, the project said in a statement. Sac Actun now absorbs Dos Ojos."